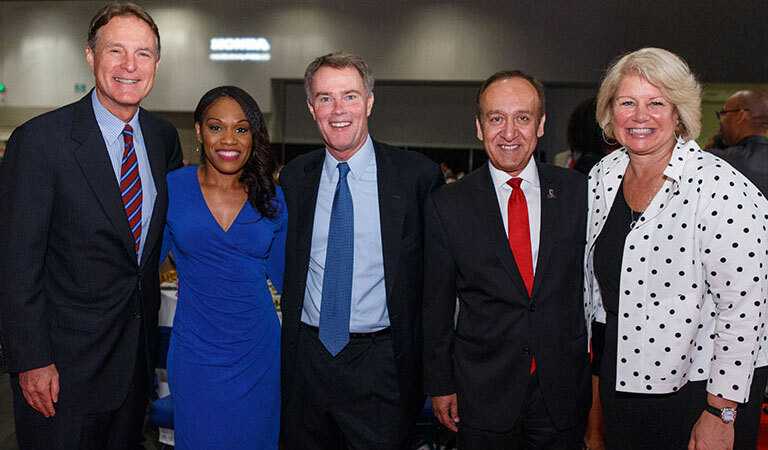 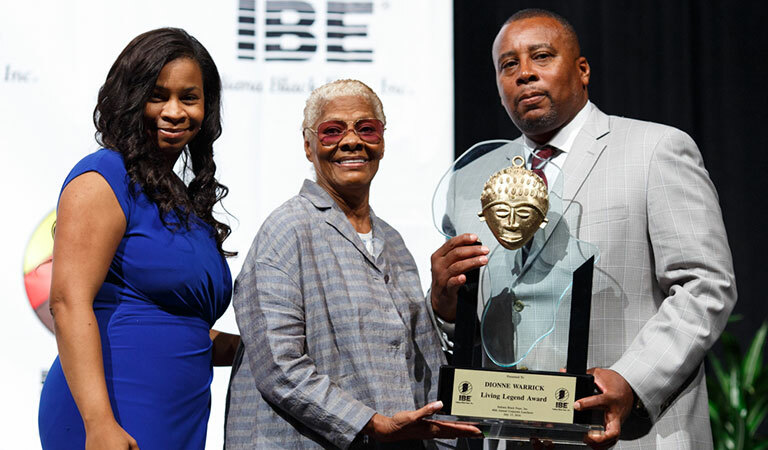 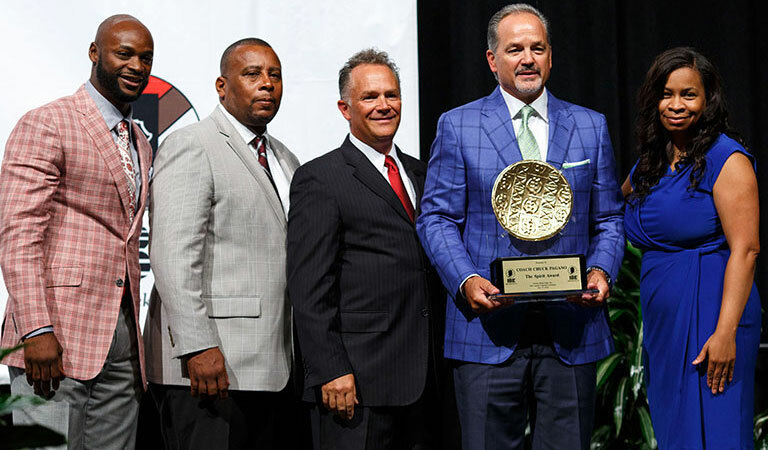 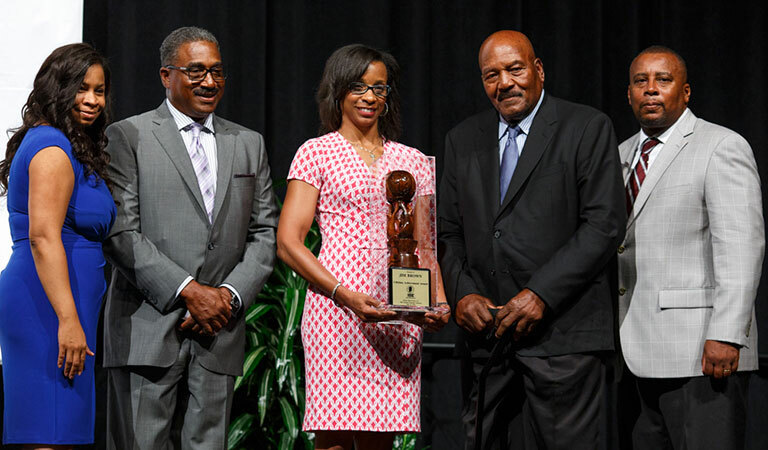 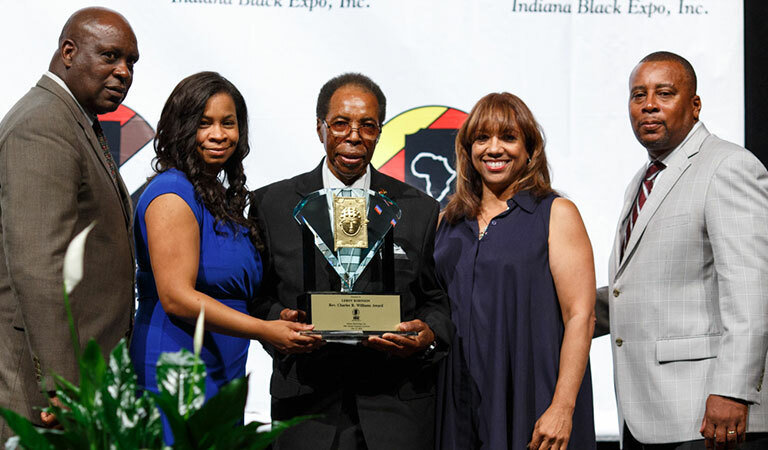 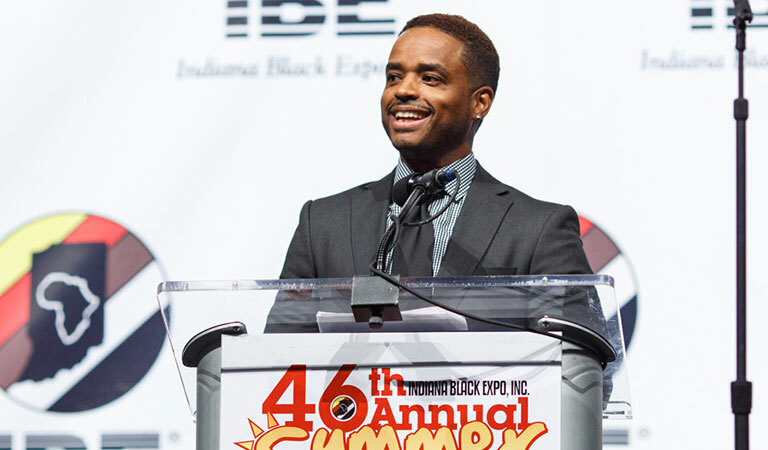 Actor Larenz Tate receives Screen Image Award at the Indiana Black Expo Summer Celebration Corporate Luncheon. 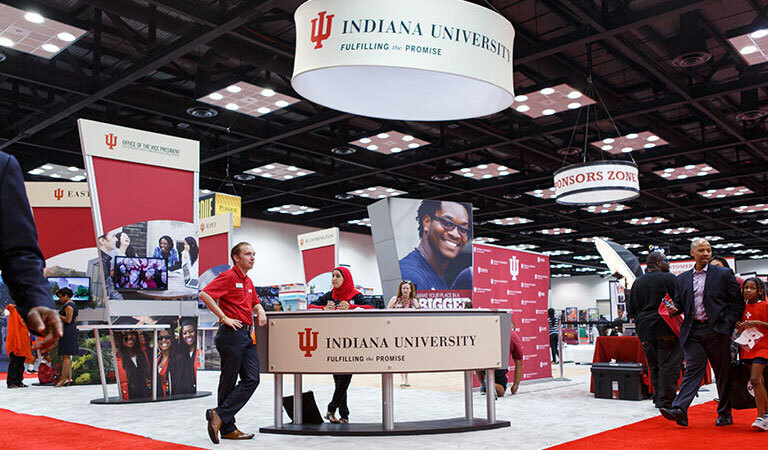 All Indiana University campuses are represented at an exhibit at the 46th Annual Indiana Black Expo. 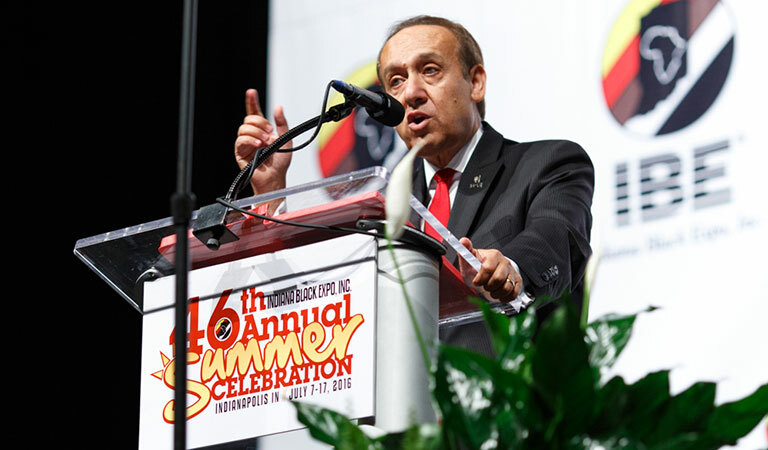 Elizabeth Blevins, IU Asst. 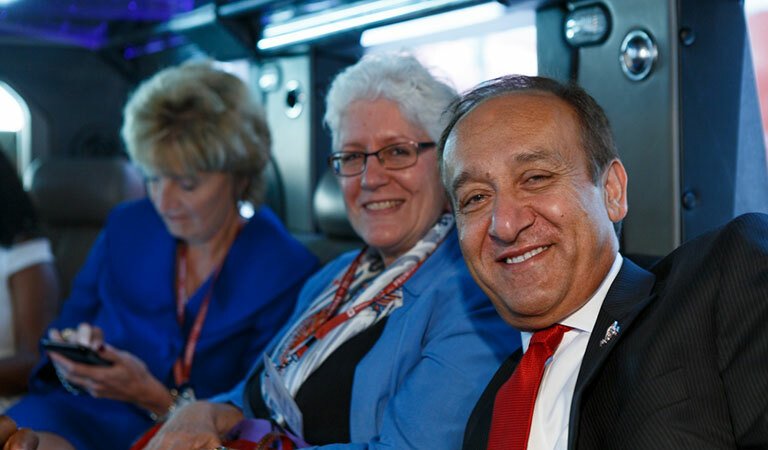 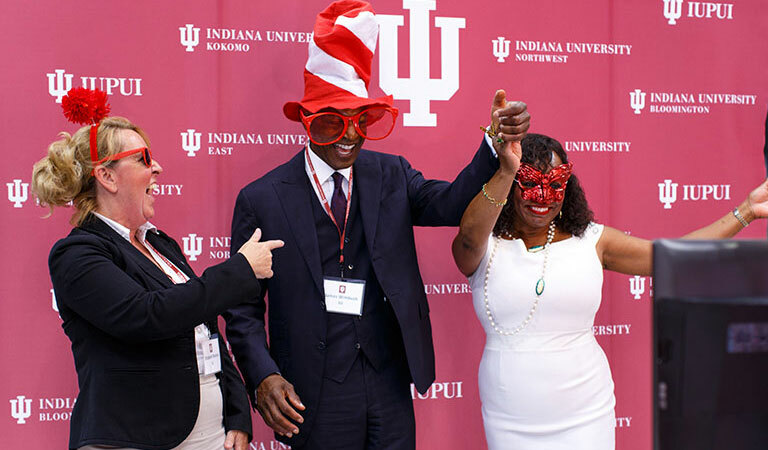 VP-Diversity; James Wimbush, IU Exec VP for University Academic Affairs and Joyce Rogers, former CEO of Black Expo and IU VP-Diversity have a little fun in front of the IU campus' backdrop at the 46th Annual Indiana Black Expo. 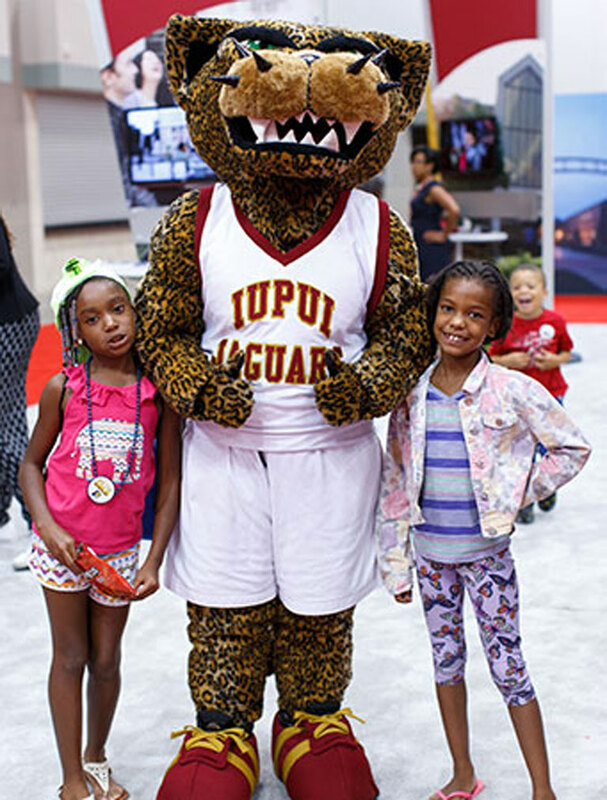 IUPUI's Jaguar mascot was popular amongst guests at the 46th Annual Indiana Black Expo.